AYRSHIRE-based CCTV surveillance and security company Visimetrics has recently provided the digital recording solution for the CCTV upgrade of the West Coast Main Line’s 17 stations operated by Virgin Trains. The recording solution for the project is based upon the integration of FASTAR, VADER and OCTAR DVR systems tailored specifically to meet the recording profiles required at each station on the line. The national rail network effectively categorises each station depending on its use, footfall and importance to the network. With a variety of recording profiles required across the network, a fully flexible system design to optimise the image quality, recording rates and storage periods of each station was necessary. The flexibility of Visimetrics recording solution enables the three recording systems (and compression types) to be simultaneously and seamlessly accessed, viewed and managed by Visimetrics CONTROL Station to delivering a single solution interface to security operators. 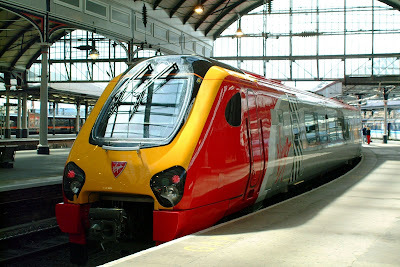 Now fully integrated within Virgin Trains national security operation, the management and quality of evidence from Visimetrics systems has come firmly under the spotlight of operator Virgin Trains. Visimetrics (UK) Ltd specialises in the development, manufacture, distribution and marketing of high-performance digital systems for CCTV and video surveillance. Visimetrics has gained a significant reputation for providing leading edge security solutions backed by a world class quality and service culture.